Learning basic math skills is fun with Horizons Kindergarten Math Student Book 1. This full-color student workbook contains lessons 1-80 covering concepts like writing and counting numbers by 1s, 5s, and 10s; adding and subtracting single-digits; money value recognition; and more! Pages in this Alpha Omega curriculum are perforated for easy removal. Looking for an easy-to-follow math workbook for your kindergartner? Alpha Omega Publications has exactly what you need-Horizons Kindergarten Math Student Book 1. Perfect for young learners, this first of two student workbooks contains 80 colorful, consumable lessons that lay a solid foundation in math. Using the Horizons' spiral learning method, Student Book 1 helps your child grasp basic math concepts quickly. In no time at all, introduction, review and reinforcement will have your child counting; adding and subtracting numbers; understanding money values; telling time; recognizing calendar concepts; determining patterns and sequencing; and measuring by inches and centimeters. Plus, each brightly illustrated lesson in this Alpha Omega curriculum delightfully captures your child's attention along the way. But there's more! 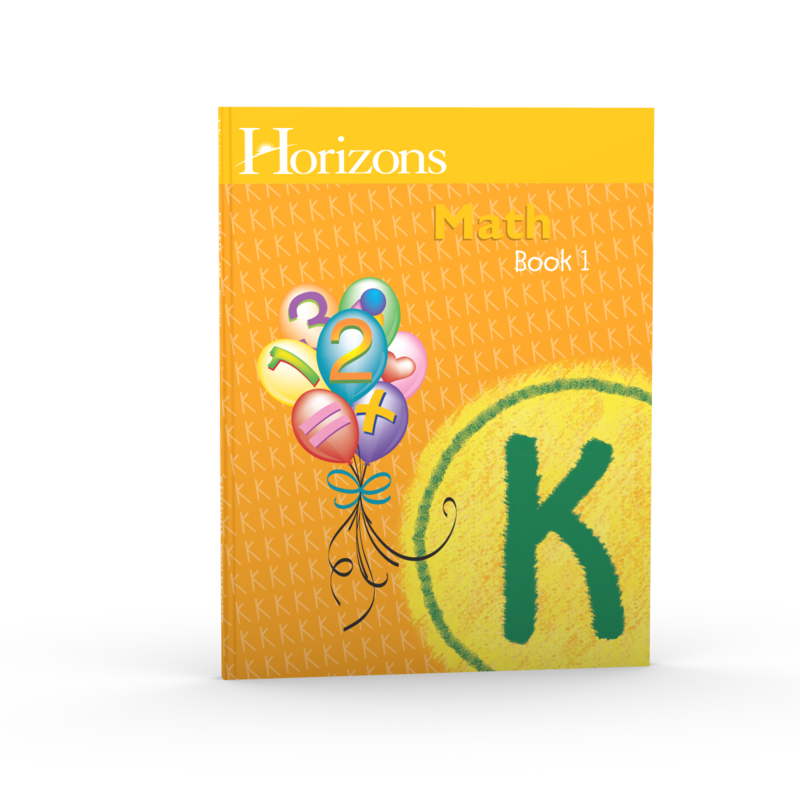 Perforated pages in Horizons Kindergarten Math Student Book 1 allow for easy removal so your child can easily complete math lessons and proudly display his finished work on your refrigerator or wall. Best of all, when using Horizons, your child will love the parent/child interaction that makes homeschooling fun. Sound great? It is! Let this best-selling math curriculum work for you! Order your Horizons Kindergarten Math Student Book 1 today!